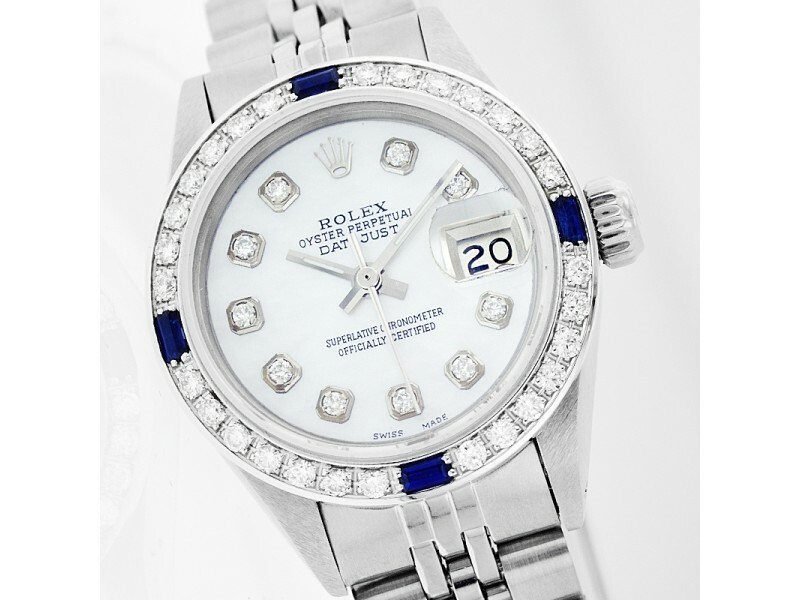 Dial: (Not Rolex) Rolex Professionally Refinished Mother of Pearl Dial set with Round Diamond Hour Markers. 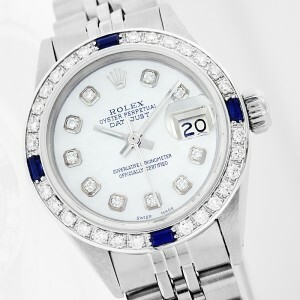 Bezel: (Not Rolex) Custom 18K White Gold Bezel Set With Round Diamonds and 4 Sapphire Baguette. 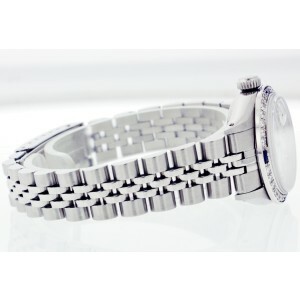 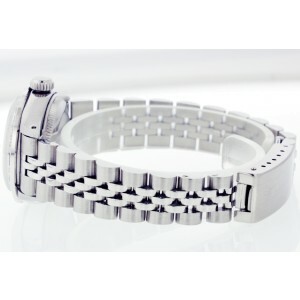 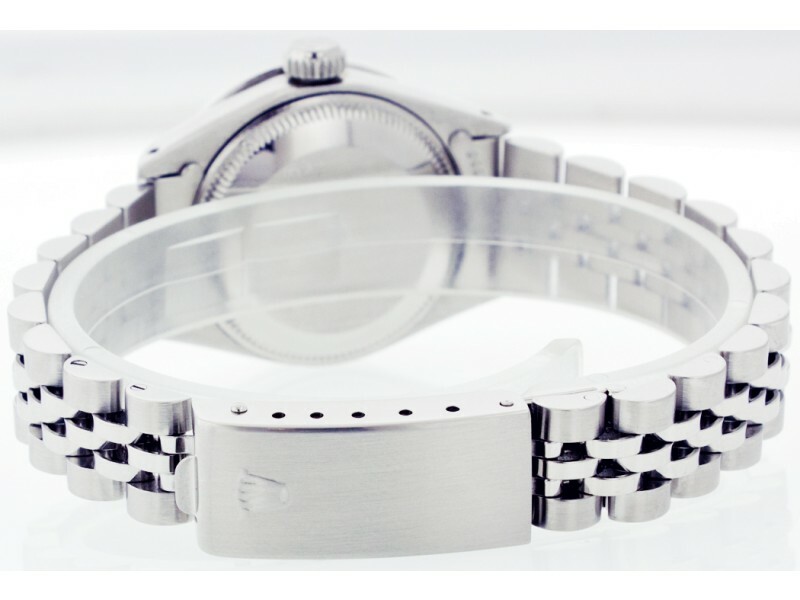 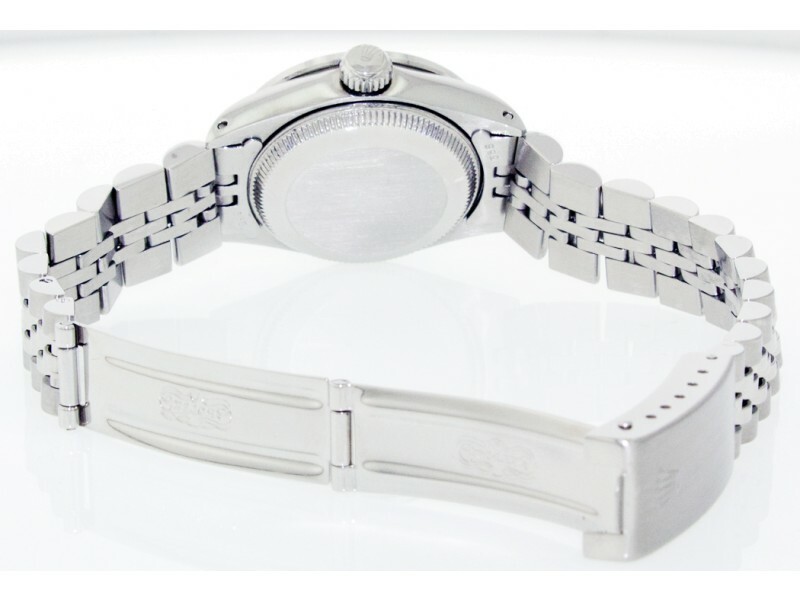 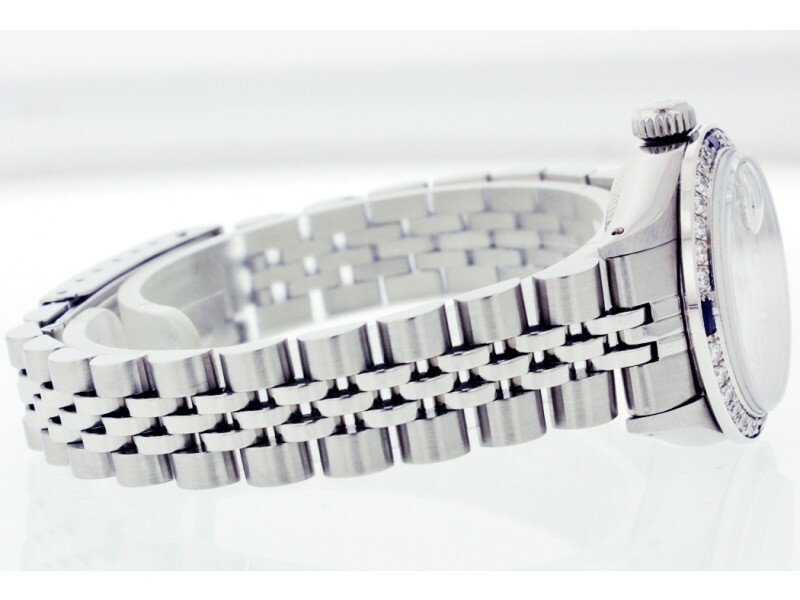 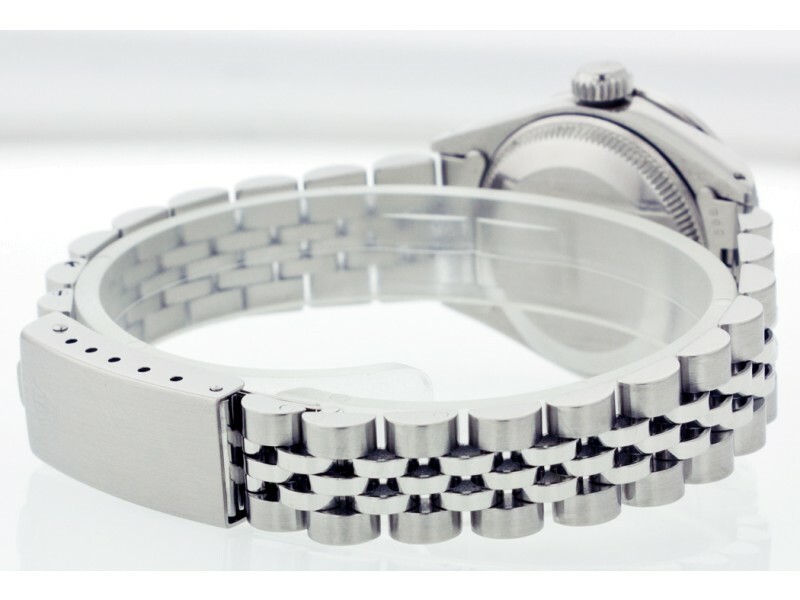 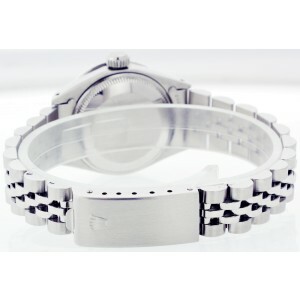 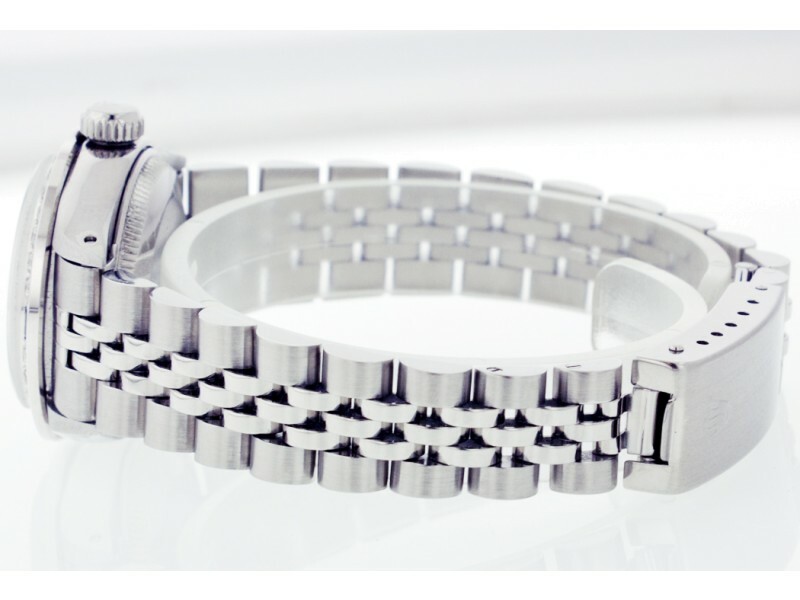 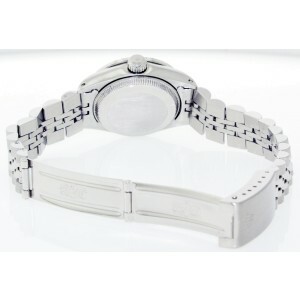 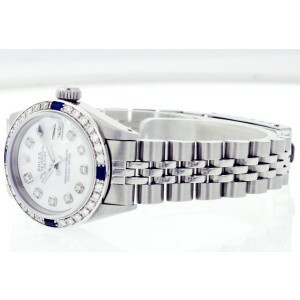 Bracelet: Rolex Stainless Steel Jubilee Bracelet. 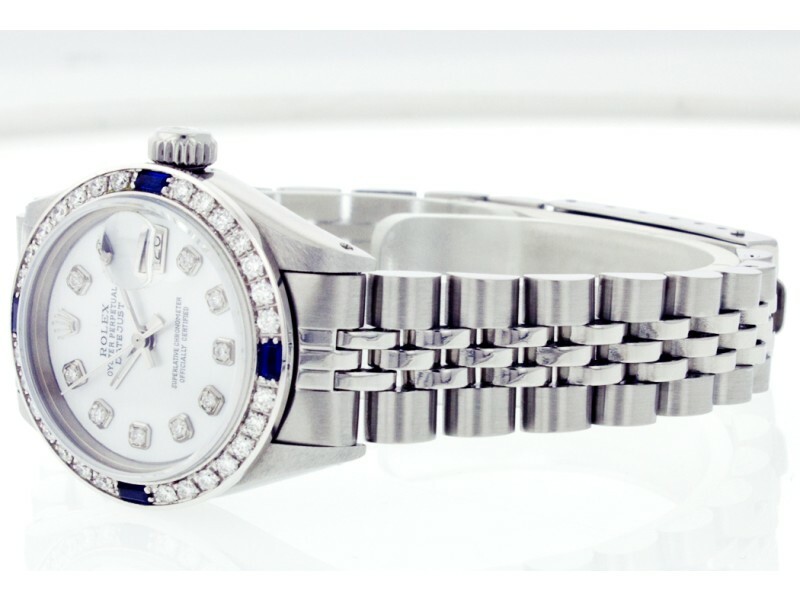 Warranty: 1-Year, No Box or Papers.